(2) Given the demand for our top SAT tutors, they have built up thousands of tutoring hours. This has made them masters of their craft. (3) Tutors in other organizations – particularly franchises – are almost not career tutors. Most are temporary and take tutoring as a preferred job over other part-time, temporary jobs. The Learning Consultants provides the best individual SAT tutoring in Connecticut. Please ask your own sources. The best thing you can do is ask your own trusted sources in Shoreline and Southeastern Connecticut about our test prep programs. We are confident that you will hear that The Learning Consultants is the best at this work in areas that we serve in Connecticut. Your student-child is unique. Factory-type prep programs treat their students in generic fashion, with a cookie-cutter approach to teaching. While any program is better than none at all, the best programs account for individual differences and endeavor to provide customized interaction. At The Learning Consultants, our relationships are personal. We know our students and constantly try to adjust our approach to individually fit each student. 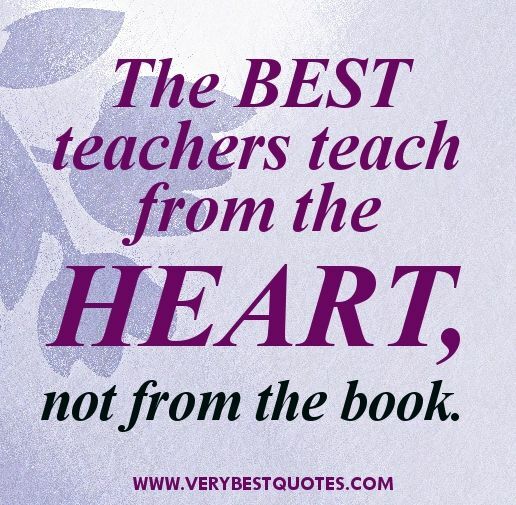 1) Teaching Quality. Daryl Capuano, the founder, is the primary teacher. Unlike franchises that hire bright graduate students who may or may not be good teachers, Daryl is a master teacher. This is a passion and a profession for us, not just a part-time job like it is for most teachers at other tutoring companies. Our other teachers such as Jean Card, Dr. Dan Hartman, Dr. Kristina Knobelsdorff, Galen Cawley and Jesse Brockwell have developed loyal followings due to their outstanding teaching ability. (2) Personal Attention. You and your child will have high personal attention. We know all our students well and do whatever we can to help them. We customize our programs to perfectly suit every client’s needs and aspirations. (3) Motivational, Engaging, Dynamic and Fun Classes. To the great surprise of parents, many of our students return home and announce that they actually enjoyed class. While we can’t fully reveal the tricks of our trade to make the classes so stimulating (our competitors routinely try to imitate our unique design), you and your child will be pleasantly surprised by the sheer fun we have in class. Why is fun so important? When students are in a positive mood, they are more likely to be inspired and motivated. We also have unique methods designed to shift psychological energy in students to help them become engaged in the process learning. These methods have become our differentiating factor in making our test prep programs the best in the area. Many of our students also take the ACT exam. Our proprietary methods have led to similar success with the ACT. Design. Great care and thought has gone into the design of The Learning Consultants SAT prep programs, based on our years of teaching test prep. For each section of the SAT and other tests, we have designed the best practices for efficient and effective problem solving. We have also designed self-study techniques that students should use to reach their potential. 1) Learning the best techniques for each type of problem (think of learning to hit tennis strokes properly). 2) Learning standardized test-taking best practices. 3) Learning through interaction related to specific problems. 4) Learning the best practices for self-study. 5) Learning how to approach the test with the best possible mental and emotional attitude. The psychology of performance is an underestimated component for the SAT and other major tests. The Learning Consultants has developed a variety of approaches that lower student anxiety, enhance positive energy, and increase test-taking stamina. We focus on “learning” because our only goal is student comprehension, not simply rote learning. When students understand, they do better. Coaching. After teaching, we monitor our approach individually for each student. Student application matters most to success. This is where many other tutoring organizations fail miserably. In most cases, the franchise teacher has been given the outlines of a canned lecture. The teacher may deliver that material reasonably well. But when asked to individualize their approach, the inexperienced, franchise teacher is similar to the line cook at McDonald’s. The Learning Consultants instructors are, first and foremost, great teachers. We hire the best and give them the very best training. 1) The small seminar — As described above. The advantages: most cost-effective; most guaranteed availability; most hours for structured practice in problem solving; emphasis on social learning, if that is your preference. The advantages: students work with their friends and thus enjoy class the most; very small student-teacher ratio; less expensive than individual coaching. The challenge: very few, as this seems to be a very popular option, but organizing the group seems to be the biggest hurdle. The advantages: the most custom-designed; the best teacher-student ratio; the most flexible schedules. The challenges: the most expensive per hour, sometimes desired spots are not available due to my attendance at courses. 4) Combination — The most cost-effective/best teaching combo tends to be taking the small seminar course in order to learn the best practices in the least expensive manner, and then supplementing – if needed – with individual or customized group coaching at later dates. What About the SAT IIs? 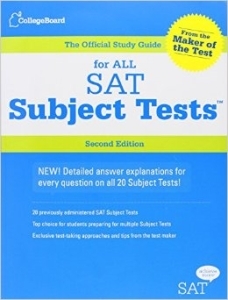 The SAT IIs are the subject tests that colleges and universities require for admission. Some parents might remember that these tests were called “the achievement tests” when they were applying to college. The SAT IIs are either extremely important — for the schools that require them, or not important at all — for the schools that do not require them. That many schools do not require the SAT IIs makes the whole issue confusing for many parents trying to sort out what tests their children should take. That each college makes its own admission requirement creates additional confusion. Generally speaking, the more competitive institutions require SAT IIs, while less competitive schools do not. With that said, the best thing you can do to understand the issue of whether your child should the SAT IIs is to create a list of potential schools that might make your child’s application list and then check out each college’s particular requirements. 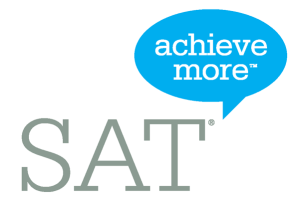 If your child is going to take the SAT IIs, then you should understand that these scores will be very important for admission and that your student should ensure that they score as high as possible.